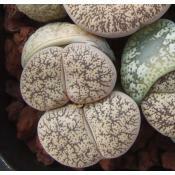 Lithops aucampiae (Niekerkshoep). Pattern of red nerves. Location - Niekerkshoep, South Africa. 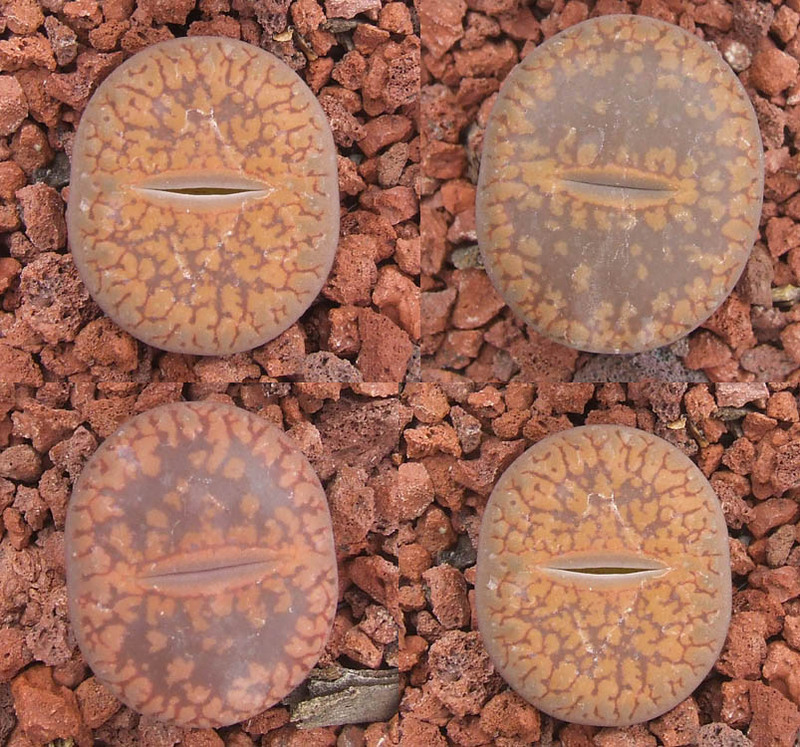 Lithops divergens BM7941. 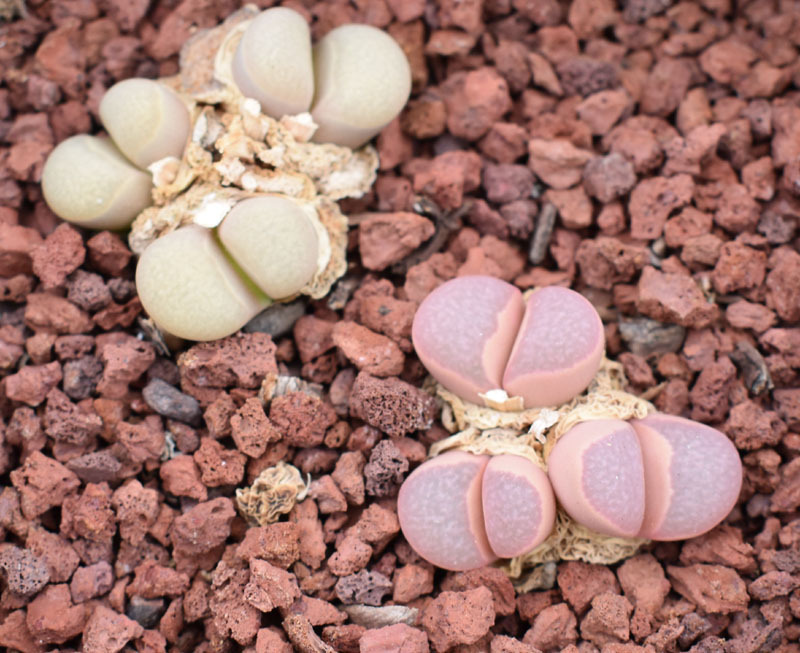 Teeny tiny bodies. 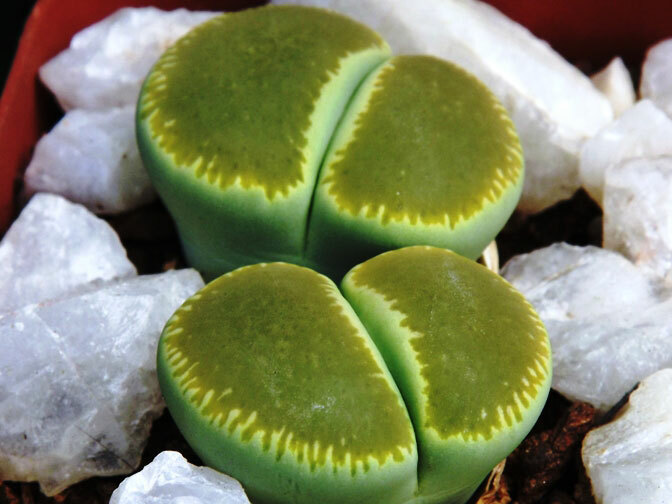 Location - Arizona, Knervslakte. 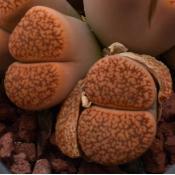 Lithops bromfieldii v. mennellii. Lovely pale selection, many bold lines. 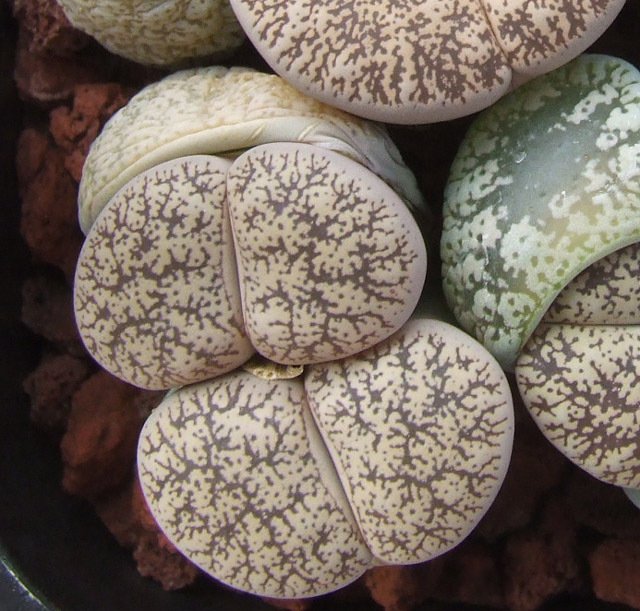 Lithops lesliei ssp. lesliei v. venteri C001. Grey/black top, intricate. Location - 30 km North West of Warrenton, South Africa. 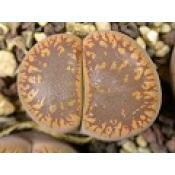 Lithops aucampiae ssp/v aucampiae C002. Rusty pink, dark jagged window. Location - Near Danielskuil, South Africa. 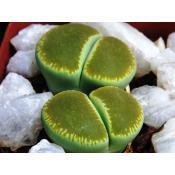 Lithops aucampiae ssp/v aucampiae C003. Tan and brown pattern with sharp lines. Location - 10 km South East of Postmasburg, South Africa. 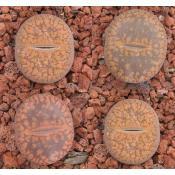 Lithops aucampiae ssp/v aucampiae C004. Dark rusty brown pattern. Location: 5 km North of Postmasburg, South Africa. 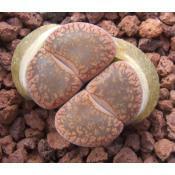 Lithops lesliei ssp. 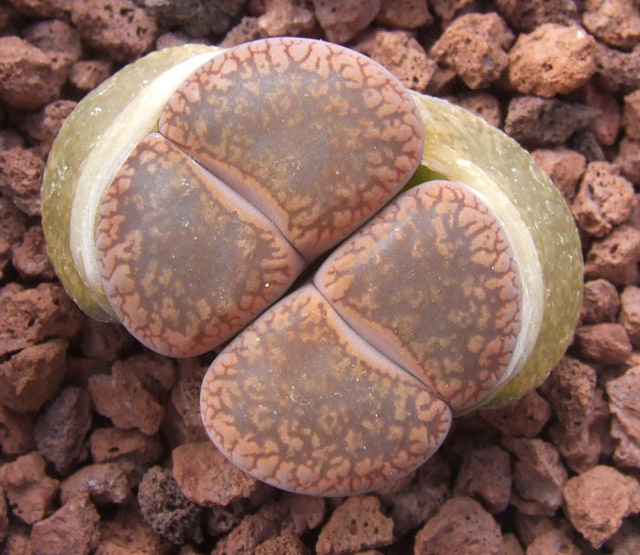 lesliei v. lesliei C005 (Warrenton form). Type Location - Near Warrenton, South Africa. Lithops lesliei ssp. 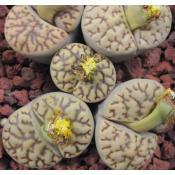 lesliei v. lesliei 'Albiflora' C005A. Cultivar with white blooms. Type Location - Near Warrenton, South Africa.